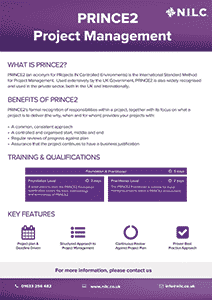 The first choice for all leading project, risk and change management qualifications. Browse our list of project management courses. Why Choose NILC For Your Project Management Training? NILC’s project, programme and risk management training courses are available in locations throughout the United Kingdom and public classroom courses are regularly held in training venue’s in Bristol, Cardiff, Newport and Swansea. The course fees include pre-course learning material, detailed course notes, refreshments, examinations and post-course support. 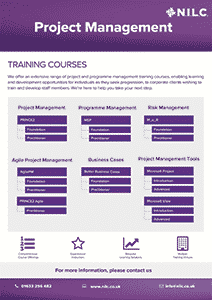 All of our project, programme and risk management training courses can be delivered and run onsite at your offices. Read the latest news and updates about Project Management. Click on the images below to view our brochures. 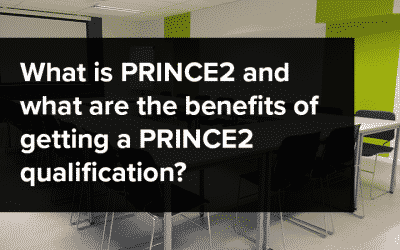 PRINCE2® is a registered trade mark of AXELOS Limited, used under permission of AXELOS Limited. All rights reserved. 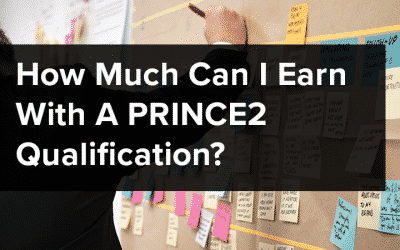 | PRINCE2 Agile® is a registered trade mark of AXELOS Limited, used under permission of AXELOS Limited. All rights reserved. | MSP® is a registered trade mark of AXELOS Limited, used under permission of AXELOS Limited. All rights reserved. | The Swirl logo™ is a trade mark of AXELOS Limited, used under permission of AXELOS Limited. All rights reserved. 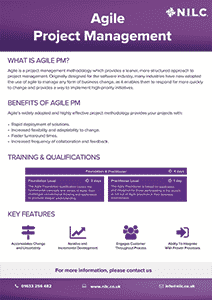 | AgilePM® is a registered trademark of Dynamic Systems Development Systems Method Limited. All rights reserved.